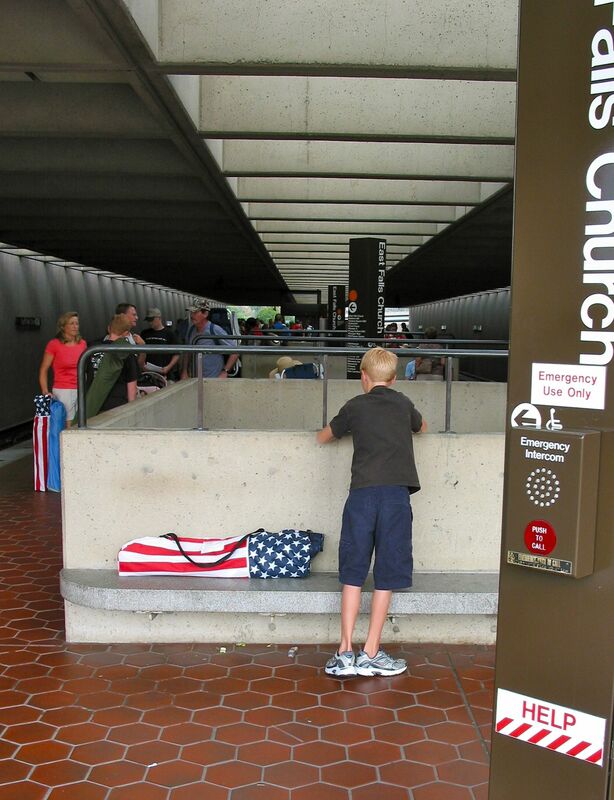 Friday, August 28, 2010, Arlington, Virginia and everything’s happening at the zoo, can’t believe it’s true “It ain’t political”, “It ain’t racist” that’s what they say is true – I am up very early and out the door for the East Falls Church Metro stop. This is usually a sleepy scene on a weekend morning. But not today. 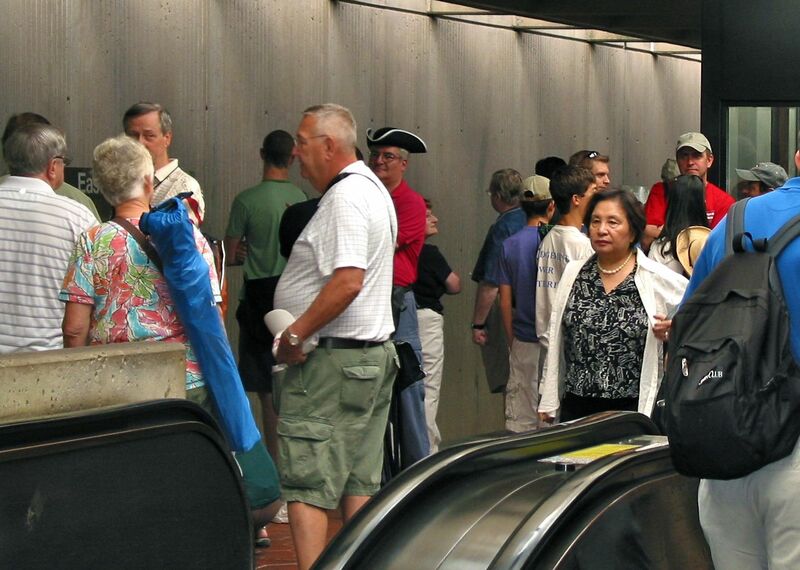 From up the street and out of the park-n-ride they come, bunches of people hurrying for the entrance tunnel….all headed for Glenn Becks’s rally down on the National Mall. Whoa! Lots of people for early on a Saturday! 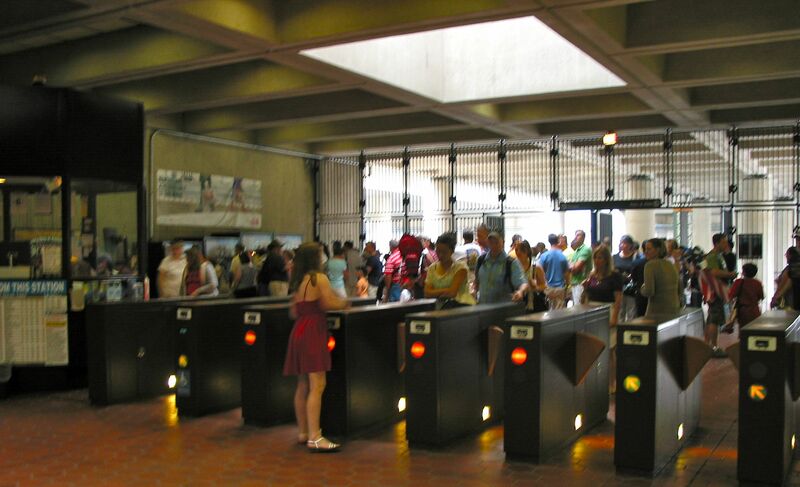 Note to self – if I am the only one out of hundreds with a plastic Metro SmarTrip Card – this means what? It means all the people clogging the ticket machines and the gates are new to the system. Obviously not locals. Hmmmm, this is big. Mad house at the turnstiles - all from out of town? Breathlessly, a huge crowd mobs the gates and the waiting platform upstairs. Besides Waldo, characters emerge and some stick in my mind—a boy waiting for Mom and Dad to catch up. This entry was posted in Symptoms in the Americas, WTF? and Humor and tagged Community Studies, Glenn Beck, MLK, Native American In The City, racist, Stuxnet, Tea Party, UCSC, Washington DC. Bookmark the permalink.